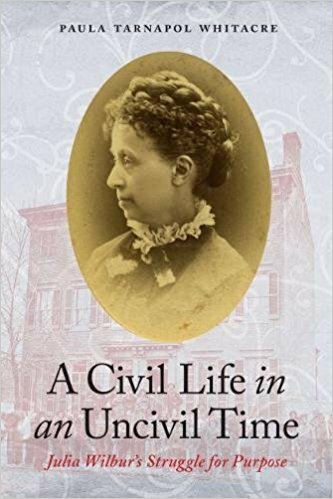 • A Civil Life in an Uncivil Time: Julia Wilbur's Struggle for Purpose by Paula Tarnapol Whitacre (Potomac, 2017). By the time of the outbreak of the Civil War, Julia Wilbur was a middle-aged abolitionist and former teacher. 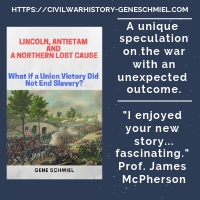 Seeking a more active role in events, in late 1862 she left the family farm in New York and went south, spending "most of the next several years in Alexandria devising ways to aid recently escaped slaves and hospitalized Union soldiers." Using Wilbur's "diaries and other primary sources" as its basis, A Civil Life in an Uncivil Time is a narrative of this "second chapter of her life," when Wilbur dedicated herself to "improving conditions for African Americans who had escaped from slavery and creating a meaningful life for herself." Author Paula Tarnapol Whitacre "describes Wilbur’s experiences against the backdrop of Alexandria, Virginia, a southern town held by the Union from 1861 to 1865; of Washington DC, where Wilbur became active in the women’s suffrage movement and lived until her death in 1895; and of Rochester, New York, a hotbed of social reform and home to Wilbur’s acquaintances Frederick Douglass and Susan B. Anthony." 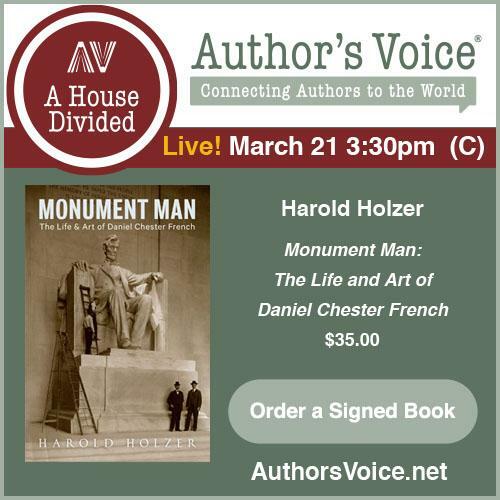 Thank you for including my book on your valuable website. Paula does a commendable job in giving breath to the life of my cousin Julia A Wilbur. There are some diary accounts that she leaves to the reader to discover in the online transcription of Julia’s diaries at https://www.alexandriava.gov/uploadedFiles/historic/info/civilwar/JuliaWilburDiary1860to1866.pdf I recommend that readers and potential readers check out her diaries. One remarkable entry involve Julia going to Lincoln’s second inauguration to view and give her account of this event. She was unable to go to the inaugural balls because of her sore leg. So the next day, March 5th, she goes to Af Am Henry Highland Garnett’s church to hear Frederick Douglass talk about the previous evening which she gave a detailed account. After Douglass speaks, “it was mentioned this eve that a bill had been passed asserting the right of colored persons to ride in all the cars, Harriet Tubman rose & said ‘They tried to keep me out tonight when I came from G(eorgetown), but I would’nt go out”. It is inspiring to read of a close relative witnessing such important people to affirm the reality of their situation. 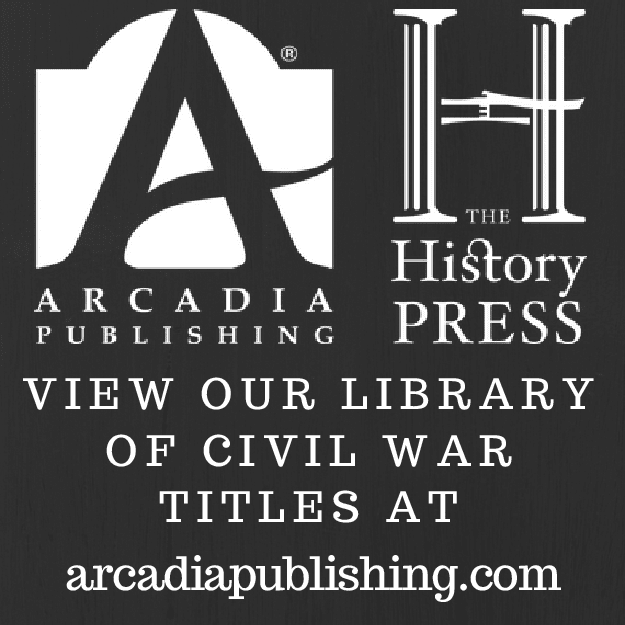 Review of Hurley - "CALIFORNIA AND THE CIVIL WAR"